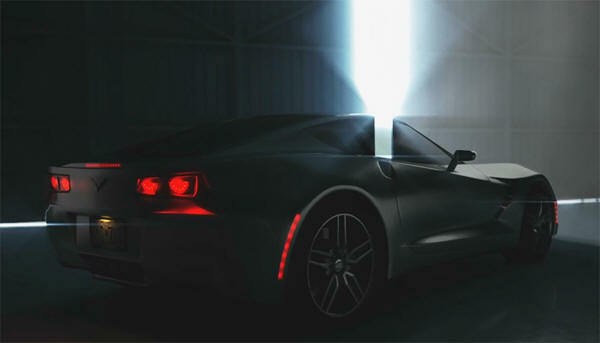 When a new Corvette comes along, it's always a secret and guarded thing. There is always a lot of speculation as to what the new Corvette will look like. The C7 Corvette will be unveiled at the North American Auto Show this January. CLICK HERE for the "latest video" speculating what the C7 CORVETTE will look like. Ely Reeves Callaway III, Founder of Callaway Cars Inc. with facilities in Old Lyme, CT, Santa Ana, CA, and Leingarten, Germany surprised auto industry guests, friends and family at the Saturday, August 4th Grand Opening of their Callaway Cars West location in Santa Ana, CA with a surprise wedding ceremony to fiancé, Nicole Jones. Reeves is the son of Ely Reeves Callaway Jr., Founder of Callaway Golf and Callaway Winery and former President and Director of Burlington Industries. Nicole is a former commercial real estate and business manager with roots in northern California, Chicago and New York City. Together, Reeves and Nikki bring together a family of eight children: Pete Callaway, 30, General Manager of Callaway Cars West, Beany Callaway, Artist, 32, of Oakland, CA, Robbie Jones, 18, entering Whittier College and its basketball team on academic scholarship in the fall, Courtney Jones, 15, Whitney Jones, 13, J.P. Jones, 10, Lili Callaway, 9 and Walker Callaway, 7. Reeves, Nikki and their children were surrounded with love and adoration by 175 notable friends, staff and family members including Reeves' younger brother, Nicholas Callaway, esteemed Founder of Callaway Publishing and his newly formed company Happy.is, who stood beside Reeves at the altar along with son, Pete. Guests included racing legend Dan Gurney and wife, Evi, with sons Justin and Alex Gurney and their families, Yves Morizot, President of Stand 21, and his family, Danielle Kelly, Pete Callaway's girlfriend, Jesse Alexander, eminent motorsports photographer, James Sly, renowned master chef, and numerous Callaway car and truck owners. The new Callaway Cars facility, located at 2441 Pullman Avenue, Santa Ana, CA was surrounded by Callaway automobiles brought in from Callaway owners throughout the United States in honor of the Company's 25th anniversary with Corvette. Inside the showroom were a new RPO B2K 25th Anniversary Limited Edition Callaway Corvette, a 1997 Callaway C7 race car, a Callaway C16 exotic, and other rare, very special Callaways. A new Z06-based Callaway Corvette SC652 rotated on a turntable at the entrance. Presented along with the unique cars, were a charcoal grey and black RPO B2K Callaway Corvette-inspired wedding cake, sushi, sashimi and gourmet delicacies. LEXINGTON, Ohio, Aug. 4, 2012 – In Olympic terms, Corvette Racing drivers Oliver Gavin and Tommy Milner won the gold today in the GT class at the Mid-Ohio Sports Car Challenge, the sixth round of the American Le Mans Series. Instead of medals, Gavin and Milner were awarded silver trophies and the maximum championship points as they notched their third win of the season in the No. 4 Compuware Corvette C6.R. The pair reclaimed the lead in the driver standings with a .283-second victory over the No. 45 Porsche of Joerg Bergmeister and Patrick Long, and extended Chevrolet's lead in the GT manufacturer championship. The win was the eighth for Corvette Racing at Mid-Ohio, but the first in the GT class after a string of three consecutive runner-up finishes that began in 2009. "I had one lap on my new tires, and I caught Jan going into Turn 2," Gavin said. "My crew chief radioed that Joerg was on cold tires and told me to go for it! Last year I passed him around the outside into Turn 4, and I did the same again. I thought I could pull it off, and I'm so pleased that I did." "At the end of the race, there wasn't much between us and I got caught up in some traffic," Gavin reported. "It was tough, and those last few laps were really hard. I'm thrilled with the result and what it means for the championship. This is exactly what we needed after a couple of difficult races." "I had a great start," said Milner, who scored his third career ALMS victory today. "I'd like to say that I planned it, but it was more about being in the right spot at the right time. I gained three spots and then the Corvette crew did a great job with the first pit stop. That was a brilliant call that put me ahead of the BMW. I ran down the No. 45 Porsche, but just couldn't get close enough to pull off a pass. I tried on the restart on Turn 2 and got alongside him, but couldn't make it stick. "The pit stop and Oliver's out-lap made the difference," Milner explained. "The stop was flawless and that got us ahead of the No. 3 Corvette, and then the No. 45 Porsche. It was a perfect day from the crew – the right calls and flawless execution." Crew chief Brian Hoye agreed: "Pit stops did make a difference," he said. "We've been practicing over and over, week after week. We knew it was going to come down to a pit stop in one of these races, and the hard work paid off today." "We were packed up at the start, two and three wide, and at that point you are stuck in one line," Garcia said. "An LMP spun in front of us and I lost positions. I made up as many spots as I could, but the Ferrari was very fast and aggressive. A great pit call by the Corvette team gave us the opportunity to run up front again and make a charge on the Porsche. I had a very quick car, and every time they opened a gap in traffic, I could make up time. We got caught in some traffic on my in-lap for the second stop; it was a good call by the No. 4 car to get a clean run into the pits a lap earlier." Magnussen was in hot pursuit of the Porsche for second place when he was caught out by a GTC driver in Turn 6. "He opened the door and then slammed it shut," Magnussen said. "I came up to the GTC car and he opened the door for Joerg to go through. I was a car length behind and was going through on the same gap, and just as I made the move, he shut the door. I was committed and I hit him. We're racing for positions and running for a championship. We all have to race, and I feel bad for all the guys. I had a great car and great pit stops." Today's victory gave Gavin and Milner a 12-point lead in the unofficial standings over BMW drivers Joey Hand and Dirk Mueller (93-81). Magnussen and Garcia are one point back (80). Chevrolet increased its lead in the GT manufacturer championship to 20 over BMW (114-94) with four races remaining. Corvette Racing's next event is the Road America Road Race Showcase at Road America in Elkhart Lake, Wis., on Saturday, August 18. June 28, 1953 workers at a Chevrolet plant in Flint, Michigan, assembled the first Corvette, a two-seater sports car that would become an American icon. The first completed production car rolled off the assembly line two days later, one of just 300 Corvettes made that year. The idea for the Corvette originated with General Motors' pioneering designer Harley J. Earl, who in 1951 began developing plans for a low-cost American sports car that could compete with Europe's MGs, Jaguars and Ferraris. The project was eventually code-named "Opel." The first Corvette was hand-assembled and featured a Polo White exterior and red interior, two-speed Powerglide automatic transmission and was designed to be opened from the inside, lacking exterior door handles. The car carried an initial price tag of $3,490 and could go from zero to 60 miles per hour in 11 or 12 seconds, then considered a fairly average speed. In 1954, the Corvette went into mass production at a Chevy plant in St. Louis, Missouri. Sales were lackluster in the beginning and GM considered discontinuing the line. However, rival company Ford had introduced the two-seater Thunderbird around the same time and GM did not want to be seen bowing to the competition. Another critical development in the Corvette's survival came in 1955, when it was equipped with the more powerful V-8 engine. The rest, as they say, is history! Corvette Racing finished the grueling 24 Hours of Le Mans for the 12th time in 13 attempts as both the No. 73 and No. 74 Compuware Corvette C6.R race cars were running at the finish of the world's most demanding sports car race. Members, as usual, the Registry leads the web in getting Corvette information out to you. The final 2012 Corvette production numbers are on line for viewing. CLICK HERE! Chevrolet swept both classes in the Chevrolet Detroit Belle Isle GRAND-AM 200 on The Raceway at Belle Isle Park on Saturday: Darren Law and Joao Barbosa drove the No. 9 Action Express Racing Corvette Daytona Prototype to victory in the DP class, and Jordan Taylor and Paul Edwards won in the No. 88 Autohaus Motorsports Camaro GT.R in the GT category. The No. 88 Autohaus Motorsports Camaro GT.R led a class-best 35 laps Autohaus Autosport made it a double celebration for the Chevrolet camp as Jordan Taylor and Paul Edwards made their first visit to the podium of the season with a Rolex GT Class victory in the Camaro GT.R. The MazdaSpeed duo of Sylvain Tremblay and Jonathan Bomarito finished second, with Robin Liddell and John Edwards rounding out the podium with a run to third in their Stevenson Motorsports Chevrolet Camaro GT.R. The No. 9 of Barbosa moved to pick up the Corvette baton at the front, but confusion through the caution period pit cycles saw both GAINSCO and Action Express suffer as the former skipped a pit thinking the pits were closed and falling to eighth, and the latter getting shuffled back to ninth to the back of the pack after not getting picked up by the pace car. The sister Action Express No. 5 of Donohue, which had been called to serve a drive though for contact with a GT during Borcheller’s stint, took charge at the front. But the blue Corvette of Richard Westbrook was making a surge to the front as the Spirit of Daytona squad looked to build on their breakthrough victory at Barber Motorsports Park. Westbrook’s strong run quickly came undone as that same aggression that pushed him to the front cost him as a tangle with GT traffic damaged the Corvette’s suspension after leading a single lap. Meanwhile, Barbosa had shaken off the disappointing track position setback and was now the man on the hunt as he tracked down his Action Express teammate Donohue. The duo fought for the lead, with Barbosa making a confident pass for the point as the two made side to side contact. A final restart with just 10 minutes to go saw Barbosa fend off his teammate’s charge as he scored his first Rolex Series win of 2012. CORVETTE OWNERS - A FANTASTIC WEEKEND AT INDY IS PLANNED FOR YOU…If any of your members have ever wanted to attend a Corvette Racing Event at Indy, this is the event for them. Have them mark their calendars for Thursday through Sunday, July 26-29, 2012 to be part of a history making event at the Indianapolis Motor Speedway. Be a part of History! Four Races. Three Days. One Track. Don't miss out on the inaugural running of the Super Weekend at the Brickyard! For the FIRST time in Indianapolis Motor Speedway history races will take place on the 2.5-mile oval and 2.535-mile road course during the same weekend. NASCAR Nationwide Series and GRAND-AM Road Racing will join the NASCAR Sprint Cup Series at the Greatest Race Course in the World! Corvette owners will be making history as they park their Corvettes in the Indy infield Corvette Corral with other Corvette owners from around the country while cheering on our Corvette racing teams as they race all around them! For the FIRST TIME EVER at Indy, GRAND-AM Road Racing will conduct separate races for its Rolex Sports Car Series and Continental Tire Sports Car Challenge on the 13-turn IMS road course on Friday, July 27, 2012. Featured drivers include four-time Indianapolis 500 driver and four-time Rolex Daytona Prototype champion Scott Pruett, 2005 Indianapolis 500 12th-place finisher and four-time CART series champion Sebastien Bourdais, NASCAR Sprint Cup Series star A.J. Allmendinger and two-time Indianapolis 500 driver and current NASCAR Camping World Truck Series star Max Papis. GRAND-AM Road Race Manufacturers include Chevrolet, Ford, BMW and Porsche. 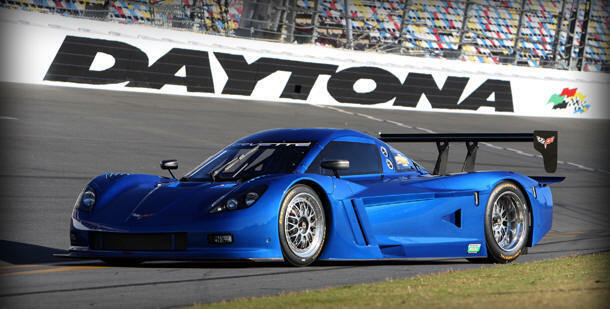 For additional information on Daytona Prototype Corvette click on this link http://www.c6registry.com/Hot_News/index.htm and scroll down to the November 15, 2011 posting. Indy Super Weekend Packages include a ticket for the Grand-Am race, IMS souvenir dash plaque, complimentary IMS souvenir and a retail discount voucher. This is just some of the excitement that is planned for you while you are watching history in the making. To secure your Super Weekend Indy Package to this exciting event, click here http://secure.brickyard.com/Promotions/Promotions.aspx and enter Promotion Code B400CC for online ticket purchases. If you prefer purchase tickets by phone, call Ticket Sales Manager Ryan Hollander at 317-492-8416. CORVETTE CORRAL PACKAGE DETAILS CLICK HERE! INDIANAPOLIS – A 2013 Chevrolet Corvette ZR1 will lead the starting field of the 96th Indianapolis 500 to the green flag Sunday, May 27 at the Indianapolis Motor Speedway. With 638 horsepower, the Corvette ZR1 is the most powerful production car ever to pace the race. This will be the 23rd time a Chevrolet has paced “The Greatest Spectacle in Racing” and the 11th time a Corvette is serving as the Pace Car. Both are event records. The 2013 model year will mark the 60th anniversary and the final year of production for the current generation Corvette. A supercharged, 6.2-liter LS9 engine generating 638 horsepower helps to create the ZR1’s performance. Of all mass-production companies, Chevrolet is the leader in using carbon fiber. The lightweight material is used for structural components, including the front fenders, hood, roof, front splitter, rocker panels and floor pans. With a curb weight of 3,353 pounds, the ZR1 features a power-to-weight ratio of just 5.2 pounds per horsepower. 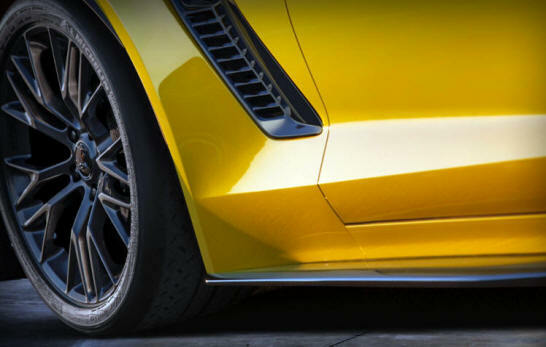 The ZR1 also features advanced technology such as Magnetic Selective Ride Control, Launch Control system with Performance Track Management, a four-channel ABS system and Brembo carbon-ceramic disc brake rotors. As a result, the ZR1 is the fastest Chevrolet ever produced, capable of accelerating from 0 to 60 mph in 3.4 seconds, and capable of reaching a top speed of 205 mph. The ZR1 lapped the famed Nurburgring’ Nordschleife (“north loop”) in 7:19.63. The first Chevrolet selected as the Indianapolis 500 pace car was the 1948 Fleetmaster Six. The brand would go on to lead the racing pack more than any other manufacturer. The Corvette Pace Car features an exterior paint scheme and full body length stripe similar to that of the 60th Anniversary Package being made available on all 2013 Corvette models. The 60th Anniversary Package features an Arctic White exterior with a Blue Diamond leather-wrapped interior with suede accents. Convertible models will have a blue top. The 96th Indianapolis 500 is scheduled to start at noon (ET) Sunday, May 27. The driver of the Pace Car will be announced soon. Tickets are on sale for the 96th Indianapolis 500 Mile Race at the Indianapolis Motor Speedway. Race Day ticket prices start at $30. Tickets are available online at www.imstix.com, by calling the IMS ticket office at (317) 492-6700, or (800) 822-INDY outside the Indianapolis area, or by visiting the ticket office at the IMS Administration Building at the corner of Georgetown Road and 16th Street between 8 a.m.-5 p.m. (ET) Monday-Friday. Children 12 and under will be receive free general admission to any IMS event in 2012 when accompanied by an adult general admission ticket holder. Tickets for groups of 20 or more also are on sale. Contact the IMS Group Sales Department at (866) 221-8775 for more information. 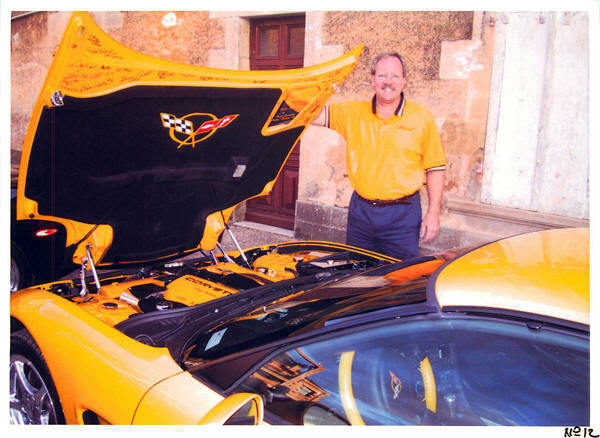 Some of you may know that Mark Blumberg decided to find his dad's (Joe Blumberg) 2000 Corvette (which Joe sold in 2005) and buy it back for him for his 70th birthday. It took most of a year but it happened -- and the reveal was this month. DelTran Battery Tender is teaming with two of its major Central Florida retailers in a special ticket promotion to celebrate the 60th Anniversary of the Mobil 1 Twelve Hours of Sebring Fueled by Fresh from Florida. The industry leader in vehicle battery charging is partnering with Sears, Kmart and Sebring International Raceway to provide fans a $10 discount on the ticket price for the historic March 17 running of the American Le Mans Series presented by Tequila Patrón race. Coupons entitling each holder the discount are available at every Sears and Kmart store within a 125-mile radius of the 3.74-mile, 17-turn Sebring Raceway. All Supertickets are eligible for the discount but guests must purchase their ticket – with the coupon – at the track ticket office. Online ticket sales are not eligible for the promotion. Fans of the ALMS can visit any of the more than 50 stores around the region and ask for the coupon at the retailer’s customer service centers/counters. No purchase is necessary, one coupon per person. 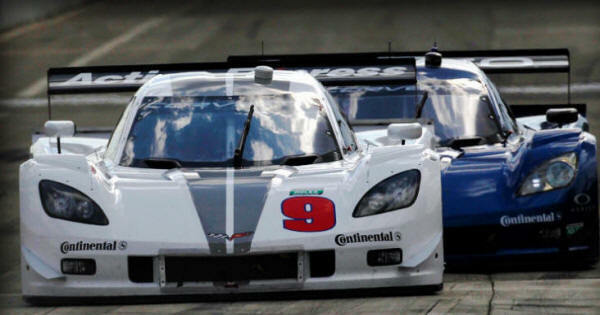 Chevrolet and Sebring Announce Alliance; Corvette to Pace the 60th Sebring. Chevrolet and Sebring International Raceway announced a multifaceted marketing partnership today that will put Chevrolet in the spotlight at one of America's premier racing venues. Chevrolet is now the Official Car and Official Pace Car of Sebring, two of Sebring's bridges will carry the iconic Chevrolet Bow Tie, and Chevrolet will celebrate Corvette's rich racing heritage at the historic track with displays and promotional programs. "It's fitting that two icons of American road racing, Chevrolet and Sebring, join forces," said Jeff Chew, Chevy Racing Marketing Manager. "Chevrolet is celebrating 60 years of Corvette in 2012, and Sebring is celebrating the milestone 60th Anniversary Mobil 1 Twelve Hours of Sebring Fueled by Fresh from Florida. Sebring has played a key role in Chevrolet's racing programs for decades, and we look forward to even more success at this legendary venue in the future." Sebring International Raceway figures prominently in Chevrolet's racing history. John Fitch and Walt Hansgen drove a Corvette to a ninth-place finish overall and a Class B victory at the 12 Hours of Sebring in 1956, the first step onto the world stage that established Chevy's sports car as a contender in top-level competition. Since then, Corvette has scored 24 class wins in the demanding Sebring 12-hour endurance contest. Corvette Racing first participated in the Sebring 12-hour race in 1999, and has scored seven victories in the GT1 class. Corvette will be inducted into the Sebring Hall of Fame on Friday, March 16 - the first American marque to be honored in the Hall of Fame. "We are pleased to have Chevrolet Corvette join Sebring International Raceway as a major sponsor and marketing partner," stated Sebring President and General Manager Tres Stephenson. "With Corvette's induction into the Sebring Hall of Fame this year, it is fitting to have Corvette pace the field for our 60th Anniversary race. 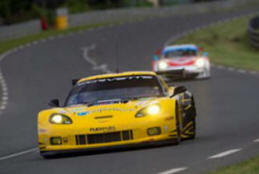 Corvette and Sebring are certainly two iconic names in international endurance racing." The Registry has learned the plant will not be allowing tours after September13th of this year until further notice. In addition, the plant will be down for the Month of July and for the first two weeks in October. We’ll will keep you updated as we go along. 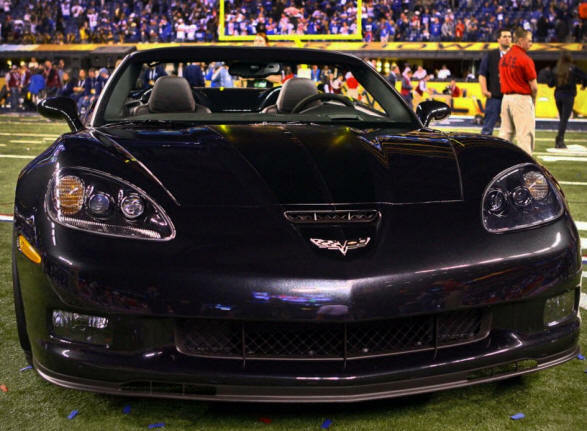 Super Bowl MVP Eli Manning was awarded a black-on-black 2012 Chevrolet Corvette Grand Sport Convertible Centennial Edition — but almost forgot the keys. NBC commentator Dan Patrick had to call the 2012 Super Bowl hero back to the podium during the post-game show to make sure he put the car keys in his hands. "I know you flew here," Patrick said. "I don't know if you want to drive home. Manning led the New York Giants to a 21-17 victory over the New England Patriots on Sunday. The Super Bowl MVP receives the Pete Rozelle Trophy — a silver trophy made by Tiffany & Co. — along with the car. The top-of-the-line Chevrolet Corvette Grand Sport Convertible Centennial Edition 4LT starts at $72,070, including a $975 destination charge. The Corvette Grand Sport Convertible features a 6.2-liter V8 engine that churns out 436 horsepower. It accelerates from zero-60 mph in less than four seconds. The No. 5 Action Express Racing Corvette Daytona Prototype (DP) led the way for Chevrolet bringing home a fifth-place finish in the 50th running of the Rolex 24 Hour at Daytona. In Grand Touring (GT), the No. 57 Stevenson Motorsports Camaro GT.R was the top finisher for Chevrolet crossing the line in fourth place in class and 14th overall. The No. 90 Spirit of Daytona Racing Corvette DP finished eighth, with the No. 9 Action Express Racing Corvette DP crossing the finish line in ninth place. The No. 88 Autohaus Motorsports Camaro GT.R made a hard charge at the end to grab the ninth finishing position in the GT class and 20th overall. MECUM AUCTIONS TO AUCTION OFF REGISTRY “C5 SHOW” CORVETTE TONIGHT! 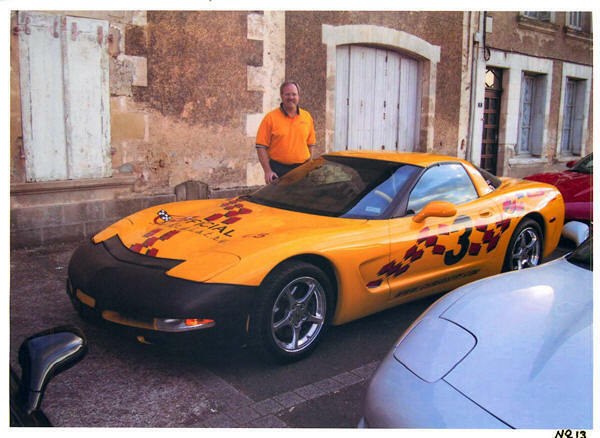 Many of you will remember that this Registry “C5 SHOW” Corvette has been shown all around the USA and Western Europe. It has been paraded on various tracks including Daytona International Speedway and Le Mans, France. This Z51 optioned Millennium Yellow (black interior) 6-Speed Coupe has been around the world and back! The Registry's “C5 SHOW” Corvette was present at the 2001 24 Hours of Daytona when the C5-Rs (the Chevrolet factory race Corvettes) made history by winning at Daytona. It was signed under the hood by the drivers of C5-R #2 Ron Fellows, Chris Kneifel , Franck Freon and Johnny O’Connell and also by the drivers of the C5-R #3 Andy Pilgrim, Dale Earnhardt Sr, Dale Earnhardt Jr. and Kelly Collins. The story of this Corvette continues as it was shipped to France where it led the American contention of Corvettes through the downtown streets of Le Mans in the famous Parade des Pilotes with 250,000 screaming Frenchmen cheering it on! After the C5-R's dominated at the 24 Hours of Le Mans (June 15 - 16, 2001), the Pratt & Miller victorious race team signed under the hood. It was also present in March at the 2001 Sebring Race. 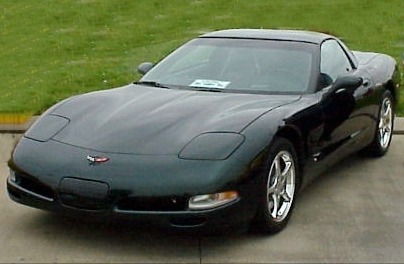 This “C5 SHOW” #3 with its unique graphics package has been to the National Corvette Museum, Corvettes at Carlisle, Petite Le Mans at Road Atlanta, and to the NCRS event in Orlando. It was featured in the November 2001 issue of Corvette Fever magazine (page 31) leading a salute to victory at Le Mans! Members – GREAT NEWS !!! The Corvette Corral at the Rolex 24 is filling up fast and Chevrolet is very excited! This good news has led to the Corvette Brand Team sending Art Spong, Group Manager of Brand Quality Performance Cars/Corvette, from Detroit to be at the Corral to answer any of your Corvette concerns. Art is very knowledgeable about the 5th and 6th generation Corvette, and we at the Official C5/C6 Registry are excited to have him present! So if you ever wanted to know something about your Corvette that you didn’t know, make sure you stop by and ASK ART! For those of you who have been thinking about going to the race, you need to quit thinking and start dialing! This is going to be a fantastic historical event! This is a great opportunity for all of us to support the Corvette Daytona Prototype as it makes its debut in the 50th Anniversary of the GRAND-AM Road Racing Series Rolex 24. You better pick up the phone and call TJ Wagner now at the Daytona International Speedway for your tickets! Longtime friend of the C5-C6 Registry, Driver Jeff Nowicki announced today he'll be joining Michael Baughman Racing to race this year’s GRAND AM Rolex Series' 50th Anniversary Rolex 24 At Daytona. The team will field the #46 Katech powered Corvette C6 in the highly competitive GT division. Action gets underway with a 10:00am practices session Thursday, January 26 with GT qualifying scheduled for 4:15pm the same day. 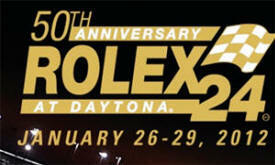 The 50th Rolex 24 at Daytona will take the green flag at 3:30pm Saturday, January 28. January 12, 2012 – Chevrolet today unveiled the 2013 Corvette 427 Convertible Collector Edition – the fastest, most capable convertible in Corvette’s history – as well as a 60th Anniversary Package that will be available on all 2013 Corvette models. The 60th Anniversary Package and 427 Convertible will make their public debut at the Barrett Jackson collector car auction in Scottsdale, Ariz., on Jan 21, and will arrive at U.S. Chevrolet dealers early this summer. Click Here for more info, specs and photos! FANTASTIC NEWS…If any of your members have DREAMS of driving their Corvette on the famous Daytona International Speedway, their dream has just come true! Chevrolet Racing and the Daytona Speedway have made an agreement to allow 150 Corvettes on the newly paved 2 ½ mile track at Daytona Speedway for a pace lap on Friday morning, January 27th at 8:00 a.m.
You will need a ticket for Friday to participate in this very rare opportunity of driving your Corvette on the Speedway. The cost per person is $35. To Purchase tickets for this event, please contact T.J. Wagner, Corporate Sales Account Executive at Daytona Speedway, by phone at (386) 681-5529 or by email at twagner@daytonainternationalspeedway.com. Please forward this information to your club members and any other Corvette Clubs that you believe would be interested in having their members fulfill their dreams of driving their Corvette on the Daytona Speedway. This event is open to ALL Corvette Clubs and anyone who owns a Corvette. Please tell interested members to sign up immediately because as of this morning over half the available pace lap tickets to drive your Corvette on the Speedway have been purchased. He'll get back with you! "EVERYONE" FROM ALL CORVETTE CLUBS IS INVITED TO JOIN IN ! !